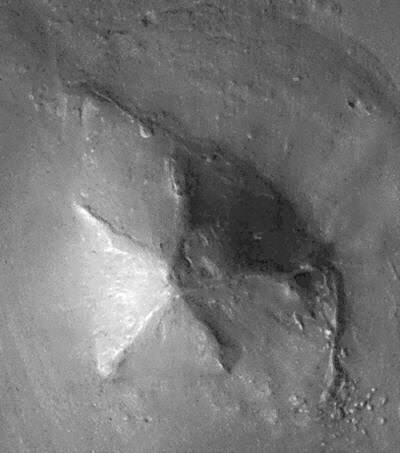 [/caption]The Pyramids on Mars are hills or mountains on the surface of Mars that, from a low resolution image, have near-perfect symmetry resembling that of the Egyptian pyramids. These formations are found in the Martian region known as Cydonia, an albedo feature that gained celebrity-like attention in the 1970s. Some of the images captured of … Continue reading "Pyramids On Mars"